We are guided by the principle of providing high quality microalgae products for health and human nutrition in a sustainable, reliable and environmentally sensitive operation. As a world leader in the production of high value natural products derived from microalgae, we are guided by the principle of providing high quality microalgae products for health and human nutrition in a sustainable, reliable and environmentally sensitive operation. We are third party certified to GMP (Good Manufacturing Practices) for dietary supplements, reinforcing our commitment to quality in our products, quality in our relationships (with our customers, suppliers, employees and the communities we live in), and quality of the environment in which we work. 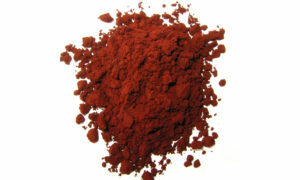 Hawaiian BioAstin natural astaxanthin – a powerful dietary antioxidant shown to support and maintain the body’s natural inflammatory response after strenuous exercise, to enhance skin, and to support eye and joint health. 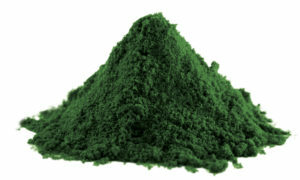 Hawaiian Spirulina – a nutrient-rich dietary supplement used for extra energy, a strengthened immune system, cardiovascular benefits and as a source of antioxidant carotenoids. Our production of these products at the 90-acre facility on the Kailua-Kona Coast of the island of Hawaii provides several benefits. We selected the Keahole Point location in order to take advantage of relatively consistent warm temperatures, sunshine and low levels of rainfall needed for optimal cultivation of microalgae. This location also offers us access to cold deep ocean water, drawn from an offshore depth of 2,000 feet, which we use in our Ocean-Chill Drying system to eliminate the oxidative damage caused by standard drying techniques and as a source of trace nutrients for microalgal cultures. The area is also designated a Biosecure Zone, with tight control of organisms allowed into the area and free of genetically modified organisms (GMO’s). We believe that our technology, systems, processes and favorable growing location generally permit year-round harvest of our microalgal products in a cost-effective manner. Microalgae are a diverse group of microscopic plants that have a wide range of physiological and biochemical characteristics and contain, among other things, high levels of natural protein, amino acids, vitamins, pigments and enzymes. 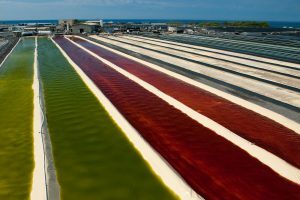 Microalgae have the following properties that make commercial production attractive: (1) microalgae grow much faster than land grown plants, often up to 100 times faster; (2) microalgae have uniform cell structures with no bark, stems, branches or leaves, permitting easier extraction of products and higher utilization of the microalgae cells; and (3) the cellular uniformity of microalgae makes it practical to control the growing environment in order to optimize a particular cell characteristic. Efficient and effective cultivation of microalgae requires consistent light, warm temperatures, low rainfall and proper chemical balance in a very nutrient-rich environment, free of environmental contaminants and unwanted organisms. This is a challenge that has motivated us to design, develop and implement proprietary production and harvesting technologies, systems and processes in order to commercially produce human nutritional products derived from microalgae.